One Man Boycott is actually just one man. Joe Brewer, a singer songwriter, multi instrumentalist from Bristol. However, it was his recent visit to the Voice studios that prompted me to write at length about him. 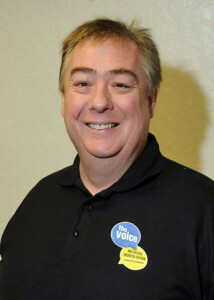 Roy Grimes, Voice presenter who does Street Live featuring unsigned local artists doing live performances in the studio. The Voice Facebook page posted a link to his new album and I have checked it out and it is every bit as good as I expected. 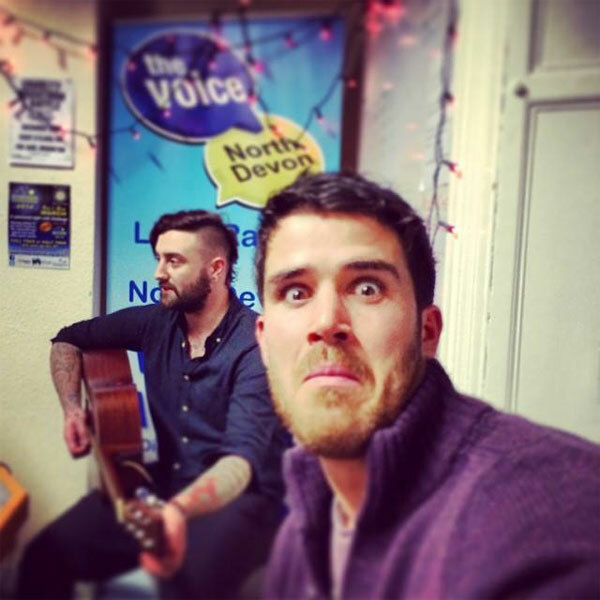 By the way, if you are a musician local to North Devon or Torridge, or even if you are just touring in the area and can get to the studios for an interview then Roy Grimes would like to hear from you. He does “Street Live” on Tuesday and Thursday evenings where he interviews artists and gets them to do a live session. 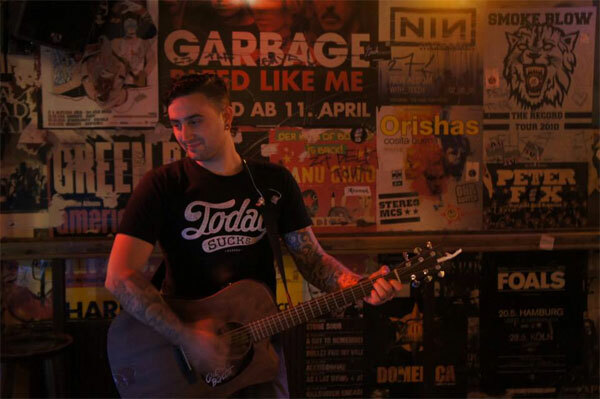 Among the influences he cites on his Facebook page are Blink, Boxcar Racer, BenjiOneLung, The Cure, Owl City, Sleeping with Sirens, Yellowcard… a fair mix of the well known and the relatively obscure. Interestingly, “Benji One Lung”, who I have heard of, is a singer songwriter by the name of Ben Brewer. Coincidence? I very much doubt it. In fact, of course, they are brothers. “I’ll Love You For The Rest Of Our Days” is a five track album that you can download from Bandcamp on a name your price basis. It is nice to try and pay something if you can, but if you can’t then the alternative of telling all your friends about the band is also fine. Blink 182 comes through strongly as well, but of course ultimately he has his own sound. 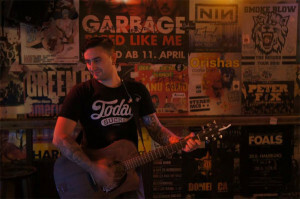 One Man Boycott performing in Nachtlager, Hamburg. The tracks vary widely in style from quite gentle acoustic stuff to fairly full on pop punk. But there is an underlying quality to everything so that I feel confident that after listening to him for long enough I would recognise his style in a new track without being told who it was. Much as I can with, for example, Led Zeppelin. I understand that this is not his first release, so at some point I had better try and find out a bit more about his earlier work and catch up a bit. But not before I try and find out a bit more about his brother, Benji One Lung. I’ll leave you with a video from the official Youtube channel for One Man Boycott, it’s a cover of “With Ears to See and Eyes to Hear” by Sleeping With Sirens.